Fits most Kids 8 to 12 years. Why settle for the cheaper 100% Polyester, Non-Woven or Spun Poly Art Smocks when you can have the real thing? My Little Doc Brand Kids Art Smocks are Authentic Smocks just like a real Artist wears. These Smocks are made from a high quality heavy 7.5 ounce Poly/Cotton Twill fabric containing 65% Polyester/35% Cotton and are fully Machine Washable. These Smocks include a Soil Release and Crease Resistant Finish with Reinforced Stress Points. They have classic Art Smock styling with two front pockets and an adjustable tie in the back. Extra Large fits Kids 8 to 12 years. All of our Smocks are Proudly Made in the USA! Fits most Kids 8 to 12 years. 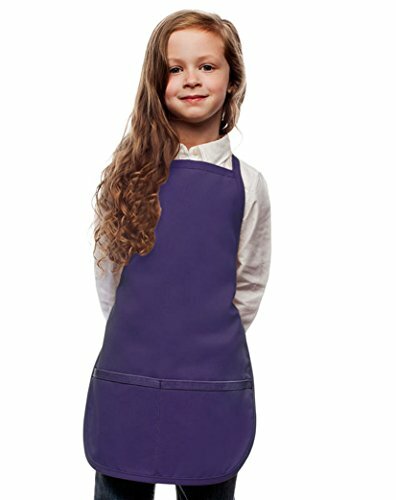 Authentic Kids Art Smock made from Heavy 7.5 ounce Poly/Cotton Twill - Why settle for the cheaper 100% Polyester, Non-Woven or Spun Poly Smocks when you can have the real thing? If you have any questions about this product by My Little Doc, contact us by completing and submitting the form below. If you are looking for a specif part number, please include it with your message.